An architect can also be very helpful in managing the whole process. If you need planning permission (or even think you might), then an architect can be invaluable in successfully navigating the local planning authority. A planning consultant or a structural engineer can also help. What are the advantages of having an architect? Architects are highly trained and are especially good as seeing the “big picture” – in making the best of the space you have, in getting interesting designs, in ensuring the light is right, the feel is good, and that the house works. Architects are usually good at ensuring the work is professionally done – that it meets the requirements of building control, that you have a structural engineer if you need one. Architects are generally (but not always) good at the detail that most of us rarely think about and which, if done wrongly, can end up being costly mistakes – which way should the door open? Should we have recessed lights? Where should the outlet pipes go? Should you be able to see the toilet when the bathroom door is open? 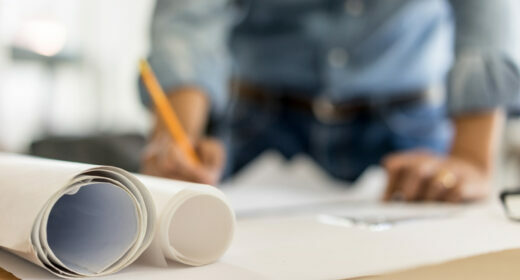 An architect can also help you find the best builder, project manage the whole works, and keep within budget. The architect is the expert eyes and ears, whose job it is to represent your interests with builders and local authorities. Architects are also subject to a statutory code of practice and have Professional Indemnity Insurance to protect their clients. What are the disadvantages of having an architect? Loft conversion where do I start? Hello Mark, you can find helpful information on how to complain here. I appointed an RIBA architect to do my planning permission drawings so I could do a side return extension. They failed to use the right application twice on the planning portal, and are now suggesting trying a different third application. My project was quite time constrained so after 2 failed applications, and 17 weeks wasted, I want to know if I should pay the architect for the planning stage? I don’t have time to do this project now as I really wasn’t expecting this stage to take 25 weeks. It also turns out that the drawings would have never made it through planning permission as the eaves were too high and to lower them in the design would significantly change the appearance. Let me know what you think my next steps should be? I wonder if I could get some advice. I’m undertaking a small rear extension to my property and I employed an architect for the initial site visit and to provide proposed and existing plans . This was provided and I paid for his services. However his work ( according to experienced tradesman) needed a lot to be desired. The detail on the drawings were insufficient and my confidence in his ability is quickly deminishing. I informed him that I would be undertaking the Building regs application however he is still assuming he is technically employed by me. He is now stating that he is owed several hundreds of pounds for his involvement during building control. I feel this is unjust and however diplomates I am being he’s simply not taking my decisions on board. Can I simply disolve our relationship and am I still responsible for the ( in his eyes) outstanding fees.